Although painted in New York, this idyllic image of monumental female nudes reflects Weber's three-year stay in Paris between 1905 and 1908, where he studied with Matisse and met Picasso. The influence of both artists can be detected in this painting, the subject matter of which reiterates Matisse's arcadian visions of a serene and luxurious Golden Age. 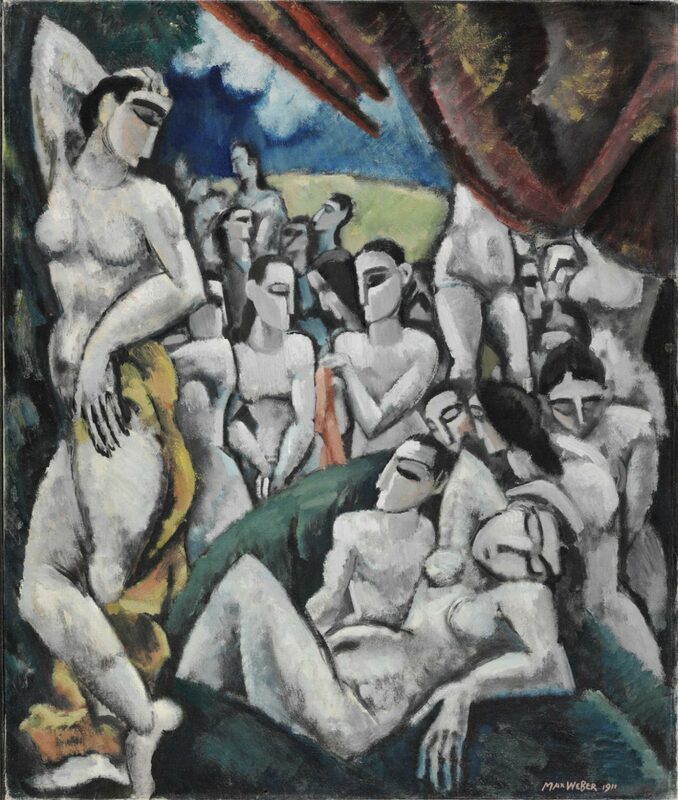 Weber's stylized nudes also recall the flattened angularity and aggressive sexuality of Picasso's Les Demoiselles d'Avignon, which he saw in the Spanish artist's studio. Weber may have returned to the theme of Picasso's 1907 masterpiece after seeing it reproduced for the first time in the May 1910 issue of The Architectural Record.